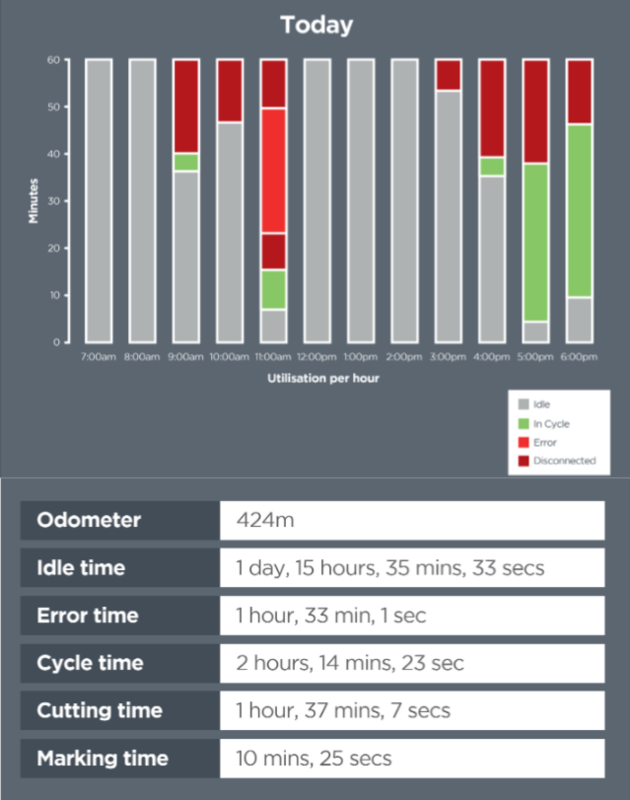 Discover the ultimate Industry 4.0 solution to minimise your machine downtime and save costs by providing easy-to-access live cutting data, statistics and cost analysis. At Esprit, we believe that software needs to be relevant and easy to use. Over 30 years ago, we pioneered drawing and nesting software to make CAD CAM easy for everyone. Since then we have continued our quest to deliver simple yet powerful solutions for our customers. 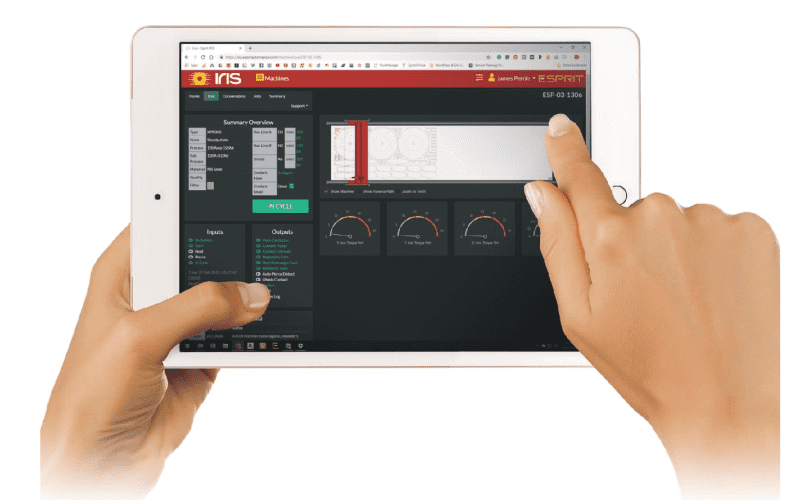 Using the same core business values and the experience only a machine manufacturer can have, we developed IRIS – Intelligent Real-time Information System. 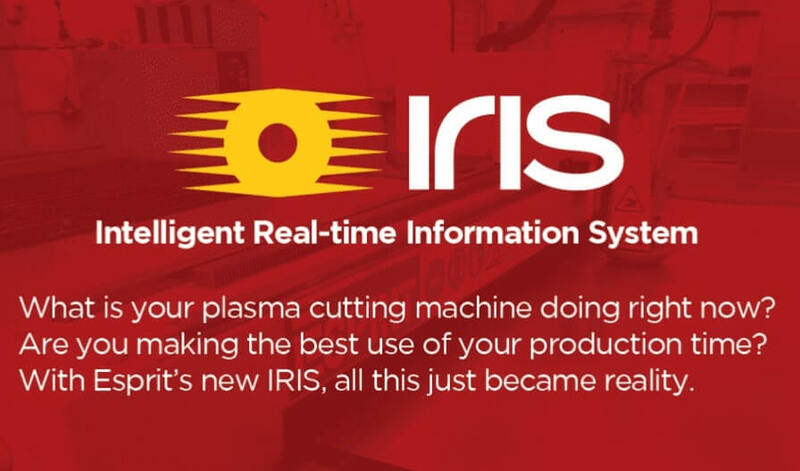 IRIS allows you to understand what’s happening with your CNC plasma cutting machine anytime, from anywhere and on any device. This information can help you to minimise unnecessary downtime and deliver a better customer service. Not satisfied with ‘on-demand’ remote access to diagnose problems after the event? IRIS Standard enables you to monitor your Esprit plasma cutting machine in real-time. Distance travelled and distance cut data for Nest Optimisation. Ever wondered what your Esprit cutting machine is doing right now? The Live page provides remote access at the touch of a button. 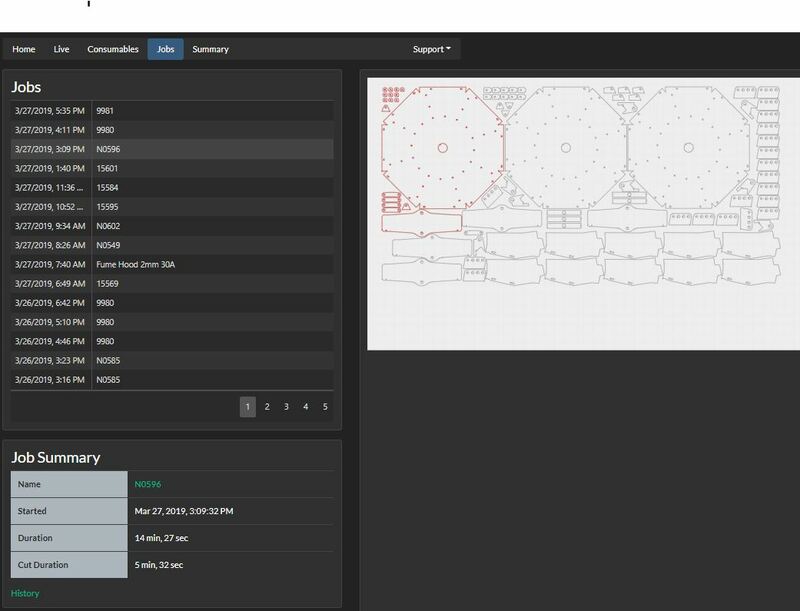 Comprising of a live view of your CNC plasma cutting machine and a dashboard monitoring the current cutting process and motor torque, all the information you need is displayed simply and easily. When a last-minute order comes in or you want to follow up a critical job, the live page helps you to see what is being cut and what progress has been made. You can also monitor day-to-day activity of your machine when you are away from the factory or shop floor. A traffic light system indicates when your coolant needs topping up or when your gas supplies are getting low, and a sliding scale shows you when your filter cartridges need changing. Is your consumable usage high? 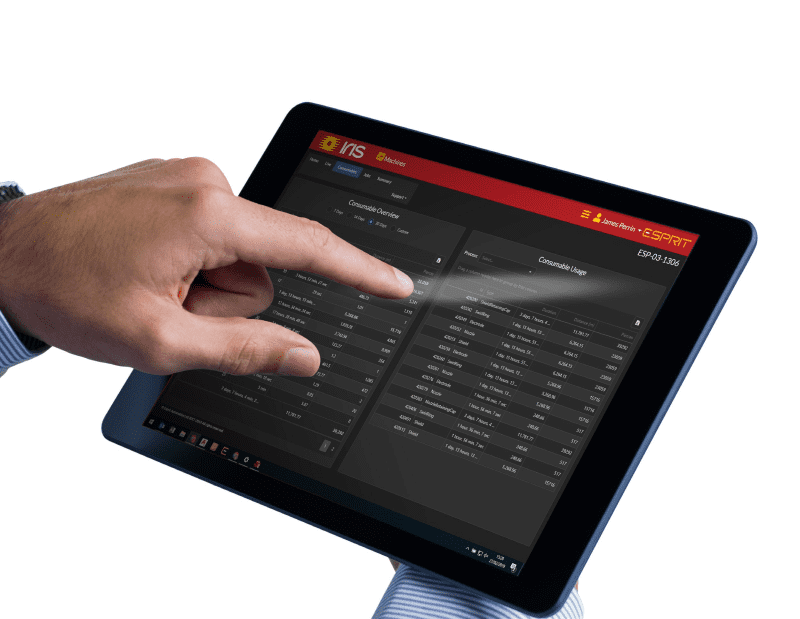 IRIS has a powerful tracking tools built in, enabling you to have a better understanding of your consumable spend. For every consumable, it will record how many pierces and how many meters they have laster for every cutting process by material type (mild steel, stainless steel, and aluminium). By keeping track of your consumables usage on IRIS, you can compare the data with actual consumable usage to help minimise your costs. To make it easier, you can even set your own review period and simply export the data into .xls or .csv format for your own analysis. Are you getting the most out of your Esprit machine? 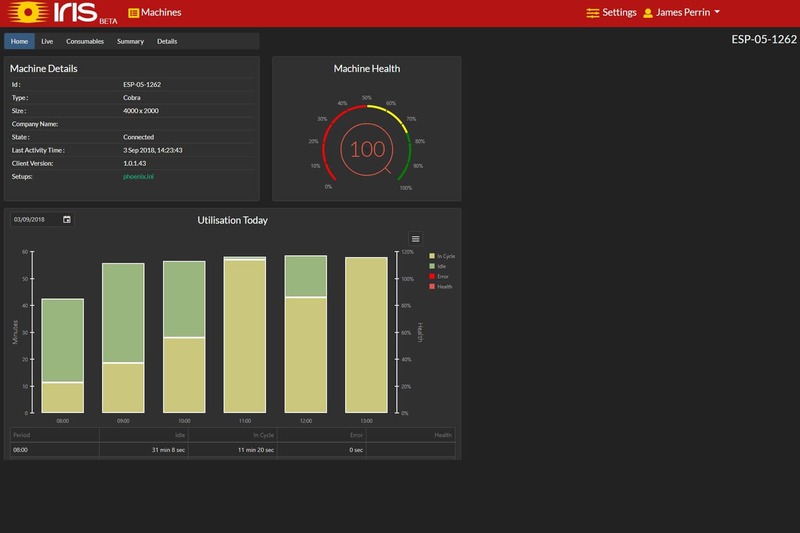 On a daily basis, IRIS provides an insight in to machine downtime and health. On an hourly basis you can see how much cutting has taken place and how much the machine has been idle. As a production manager or business owner, this is valuable information that can help you to find ways to be more productive and do more with your Esprit machine. When a customer calls you for an urgent extra order or you want to check whether a certain profile is already cut, the historical cut page will show you an overview of all profiles that were cut on your Esprit CNC plasma cutting machine. When you have questions about low or high machine usage or simply want to know if a part was cut, the Jobs page shows a history of exactly what plasma cutting has taken place and when. CONTACT US For all your CNC plasma cutting software needs.